Pet nutrition can be intimidating. When we bring animals into our homes who seem so different from ourselves (physically, at least! ), we are understandably perplexed and concerned by their bizarre dietary habits—problems that are only exacerbated by their inability to grasp and communicate their nutritional needs. Because our pets are not familiar with how much of a given nutrient they need in a day (or, indeed, whether or not a food is even safe for them to eat! ), it is up to us to regulate their diets. Many of us share our homes with animal companions who will eat just about anything we put in front of them. This is scary. We have a hard enough time figuring out what our own optimal diet would look like; after all, the Internet is full of heated arguments over whether or not gluten is killing us. If we can’t even figure out with absolute certainty what we are supposed to eat, how can we be trusted to decide on a diet for our pets? In order to play it safe, most of us get specially formulated hamster mix for our pets, which takes some of the weight off our shoulders. For treats, we look for healthy, mild foods. Vegetables are the healthiest food group we can think of, and carrots are the quintessential kid-friendly vegetable. But are they safe for our pets? Can you give your hamster carrots? The answer is yes, hamsters can eat carrots in moderation. Fortunately, your hamster can safely consume quite a wide variety of grains, seeds, fruits, and vegetables, and carrots are one of the best options. 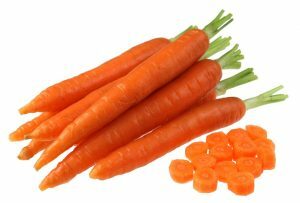 Carrots are cheap, easy to store, low in calories, high in fiber, and sweet enough to satisfy your hamster’s sweet tooth. It is always a good idea to introduce new foods to your hamster slowly, but if they don’t have any problems with their first taste, it should be okay to give them a small piece of carrot on a daily basis. Just remember that carrots are not a substitute for hamster mix—your hamster can’t live on the Bugs Bunny Diet! We are not the only ones who enjoy the sweet, satisfying crunch of a fresh carrot. Though leafy greens are some of the healthiest options for our pets, most hamsters favor carrots over many other vegetables. Fortunately, carrots can serve not only as a treat, but as a healthy dietary supplement. They have many important nutrients, including biotin, which may aid in maintaining healthy blood sugar levels. Biotin is also believed to help maintain healthy skin and hair, though research performed on hamsters is limited. Many of us learned in health class that carrots are great for our eyes, and the same is true for our hamsters. These orange vegetables are loaded with beta-carotene, which is converted to Vitamin A inside the body. When Vitamin A reaches the retinas, it turns into a chemical that improves eye health and helps to protect night vision.  Night vision is particularly important for hamsters, because they are nocturnal! Carrots are also a great way to keep your hamster’s teeth and gums healthy. Like many other rodents, hamsters have teeth that never stop growing. They have to gnaw on hard or crunchy things in order to trim their teeth down to prevent painful overgrowth. Carrots are also great for overall dental health. Thanks to their crunchy, fibrous nature, carrots help to scrape away plaque and old food particles that may be stuck to your pet’s teeth, which can reduce their risk of cavities, gingivitis, and infection. The high amount of chewing necessary to eat carrots also helps to stimulate saliva production, which will keep your hamster’s mouth even cleaner. Since we generally do not brush our hamster’s teeth, it is important to include treats that help protect their dental health. Carrots also contain antioxidants that may lower your hamster’s risk of disease in the long term. Antioxidants protect the body from dangerous, highly-charged particles called free radicals, which cause cell damage that can lead to ailments like arthritis, cancer, and other health problems. Though carrots are not the only (or even the most efficient) source of antioxidants, they can be a helpful supplement. Fortunately, carrots do not have any known negative side effects. The only issue associated with carrots (and indeed all produce) is overeating—your hamster is tiny, so make sure you don’t pack them full of fibrous food! If your pet eats too many carrots, they might suffer from upset stomach, bloating, or diarrhea. It is also possible that your hamster may fill up on carrots and refuse to eat their hamster mix, which can result in nutritional deficiencies. As long as you practice portion control, carrots are an excellent treat option for your hamster. 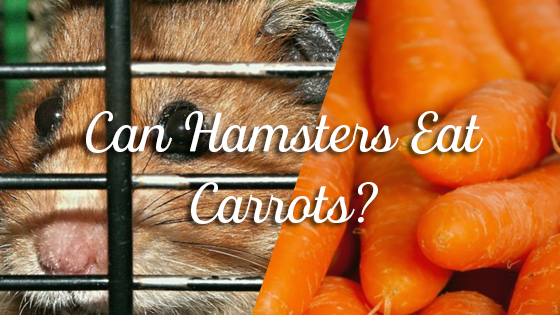 They are loaded with beta-carotene and antioxidants and good for your hamster’s dental health—and, perhaps most importantly, hamsters love them! Just make sure you don’t let them overeat, or they might eat themselves sick. Can Rabbits Eat Almonds? Can Hamsters Eat Cantaloupe?